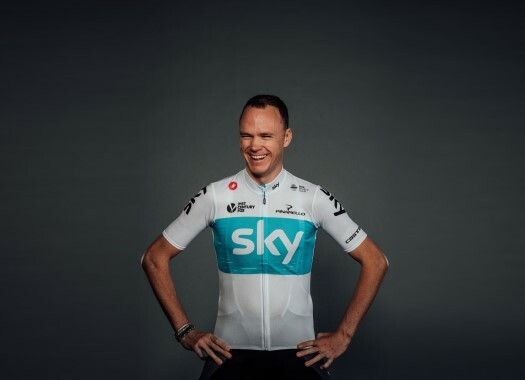 Chris Froome (Sky) finished third on the second stage at the Alps and climbed to the third position of the General Classification at the Tour de France. The rider launched a late attack on the climb of La Rosiere and crossed the line after his teammate Geraint Thomas and Tom Dumoulin (Sunweb). "It's an amazing position for us," the rider explained. "I don't think we quite expected that going into today's stage. I think initially everyone thought Alpe-d'Huez would be the decisive stage, and it still very well could be, but I think it puts us in a fantastic position ahead of tomorrow's stage. "I think [Thomas' attack] was a bit of a spur of the moment thing for us but I think it made sense. It was perfect, we didn't even have to talk and it was the right thing for G to do to push on there. I let the wheel go because I knew the onus would be on the rest of the guys to chase." The four-time Tour de France winner thinks of one rider as a danger for Sky's aspirations. "I think the main guy who stands out right now as a threat to us is Tom Dumoulin," Froome commented. "He rode a very impressive stage today. I guess it depends how everyone is going to back up tomorrow as tomorrow is a really big stage."